4700 Grover Ave., Austin, TX 78756. 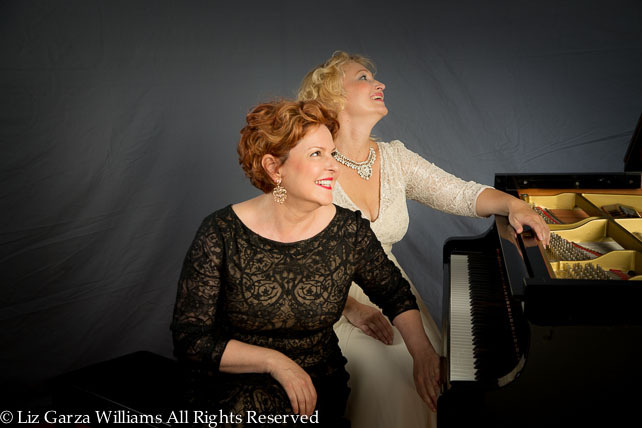 The Piano Duo AleAnya, Alena Gorina and Anya Grakhovsky, will perform pieces by Brahms, Mozart, Barber, and Rachmaninov. Please join us for this memorable musical event. Alena Gorina, currently a lecturer at Texas State University, received her doctoral degree in piano performance at the University of Texas. Anya Grakhovsky received her doctorate in piano performance from the Gnessin Russian Academy of Music in Moscow. She is the Artistic Director of Musical Bridges around the World, a non-profit cultural and educational organization based in San Antonio, Texas. The City of Austin’s Cultural Arts Division, a grant from the Texas Commission on the Arts, and an award from the National Endowment for the Artshave all helped make this event possible. To learn about upcoming Musical Connections shows or to obtain interviews or reviews, please contact Sergey Vashchenko at balalaika@sbcglobal.net or at (512) 656-6865. First Unitarian Universalist 4700 Grover Ave.